Our 100% USA made Steel Fire Rings are manufactured in our hometown of Elma, NY, by our parent company, General Welding & Fabricating. Each Fire Ring System consists of 3 separate parts: The Base, the Fire Ring, and the Rotating Grate. With additional accessory options available, you can create the perfect fit for your patio! First and foremost, you must decide on which material you would like your Fire Ring to be constructed out of. The Made In America Store offers a Mild Steel with Heat Treated Black Paint or a Stainless Steel option. The Mild Steel with Heat Treated Paint is lower in cost, and can withstand heat up to 1000 degrees Fahrenheit. The Mild Steel is made from 7 Gauge Steel Plate Construction, while the Stainless Steel option will withstand the test of time with its 8 Gauge Steel Plate Construction. 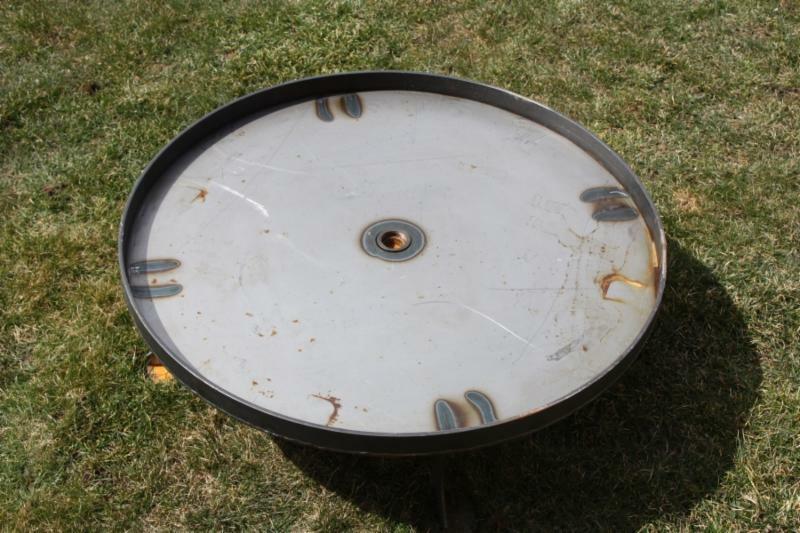 Both Fire Ring options are 30" in diameter, 10" high and weigh about 53 pounds. For More Information & Pricing, Please Call Us At 716-652-4872! Depending on your town, there may be specifics on where you can have a fire on your property. 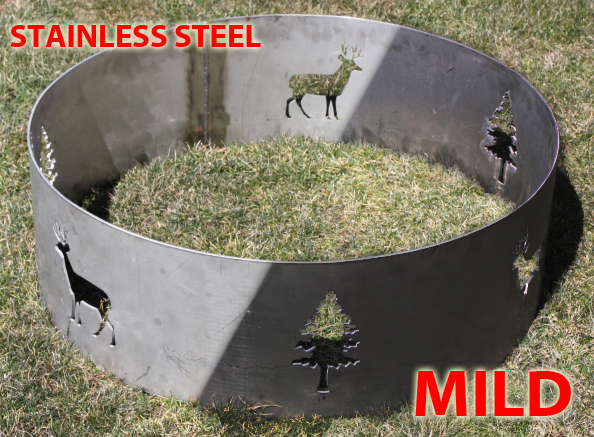 The Fire Ring Base offers a solution so you don't burn a hole in your lawn, deck or patio. 3/16" Steel Plate Construction and a 2" Flat Bar Lip. The Fire Ring Base is also equipped with a screw plug in case you need to drain the Base. 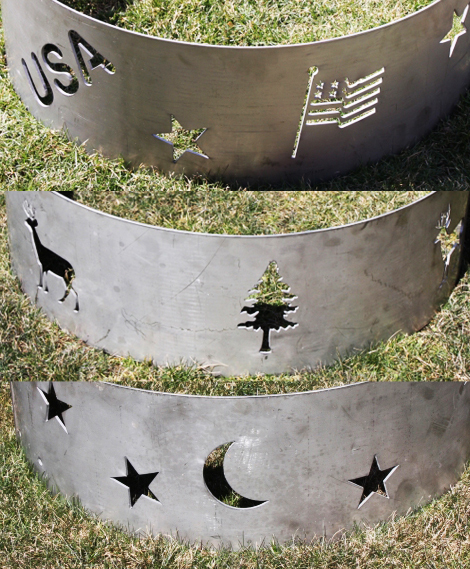 The Fire Ring Base comes in both Heat Treated Mild Steel or Stainless Steel. 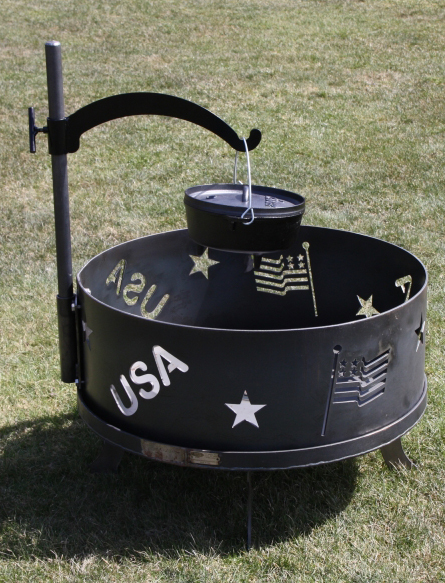 An Accessory for the Fire Ring, this solid steel construction rotating grate will turn your Fire Ring into a Grill! The Rotating Grate is able to spin 360 degrees and is height adjustable, so when your ready to cook, spin the grate off the fire and set your food on. Rotate it back over the fire and adjust it to the proper height. When your all set, spin it back and serve! 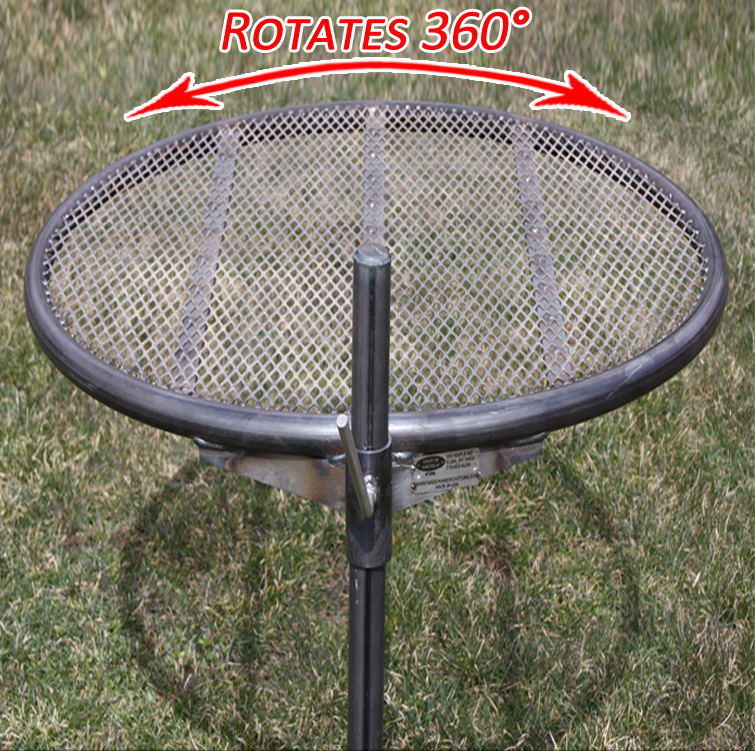 Some counties also ask that your Fire Ring be covered - Just lower your Rotating Grate and you're covered! Don't need the Fire Ring to support our Rotating Grate? 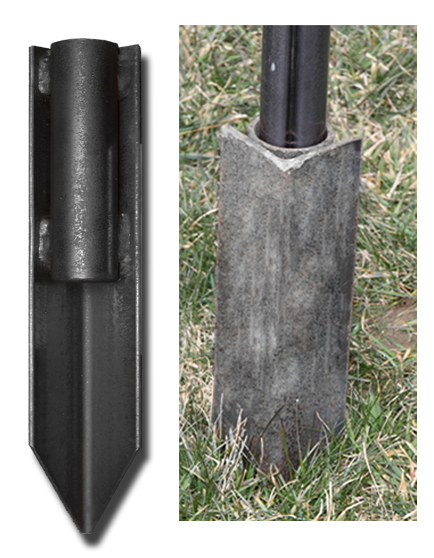 We offer a Ground Stake to hold our Rotating Grate! 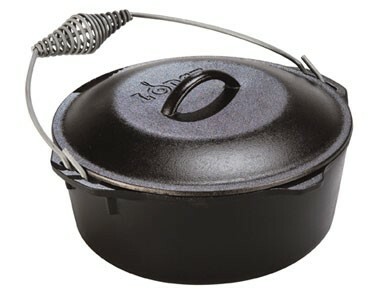 Cookware that is durable enough to survive your stove, oven and Fire Ring. Attaches perfectly to the Rotating Grate Pole and securely hangs Pots for cooking. 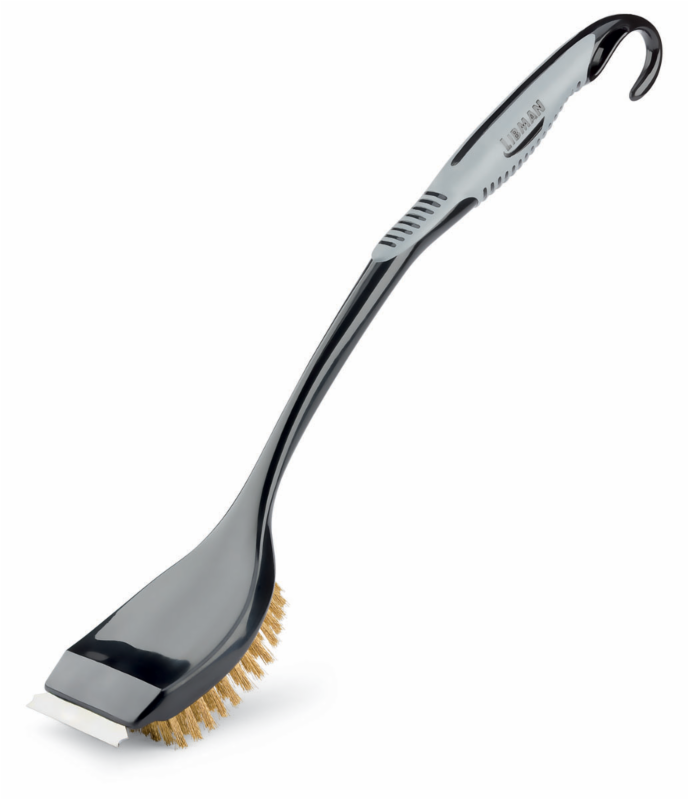 Extra-long handle allows for safely cleaning a hot surface. Hanger hook provides easy storage. Tough steel and brass fibers remove char and grit from the grill.